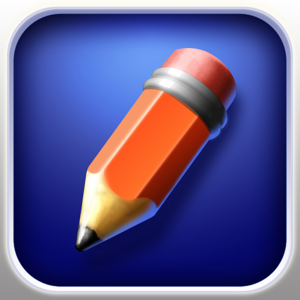 This was one of the first artistic apps to be created especially for the iPad and still deserves a place among the best. The wide range of features that iDraw offers makes it perfect for many different types of drawing, although this app really excels when it comes to creating technical illustrations. This useful app is a great tool for digital artists and contains a whole host of easy to use features like digital pens, airbrushes, and markers. SketchBook Pro can also connect to Dropbox, which makes it easy for artists to share and transfer their work. These impressive apps aids sketch artists in adding a whole new dimension to their work. As well as all of the usual sketch functions, LiveSketch HD also boasts a large number of more unusual options that help to make it a cut above the rest. This highly professional drawing app boasts very high-quality performance and comes with some very cool drawing lessons that are intended for both beginners and experienced artists who want to pick up some new skills. Artists can take their pick from and range of different canvas sizes as well as tools and many other options to execute the perfect drawing. This modern app is very user-friendly and can be used to create fun doodles. Artists are able to store their creations in a special album so that they can continue working on them later.